A little girl receiving her First Holy Communion on her special day is just beautiful. 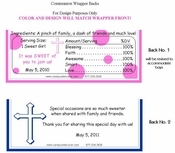 This SWEET girl Communion Candy Bar Wrapper is adorable and makes a perfect Communion Favor! 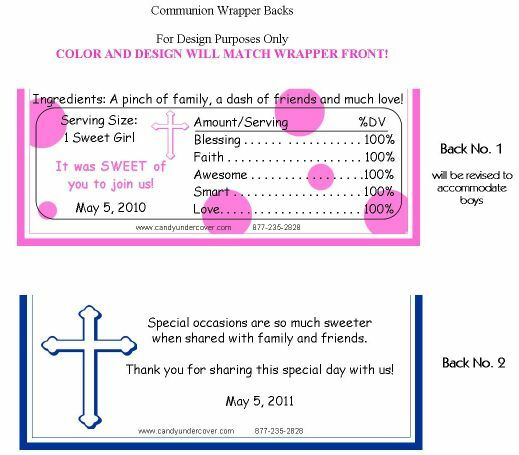 A delicious chocolate bar wrapped up with this beautiful Candy Bar Wrapper on your daughters 1st Holy Communion makes the perfect SWEET treat for your guests!